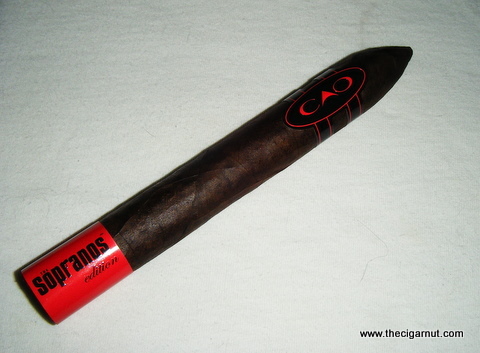 Out of the three main vitolas for CAO's 'The Soprano' series, the Boss comes in as the most demanding and imposing size at 7 inches long by 56 ring gauge. As it should be, the Boss is the largest of the three, the Soldier a step below the Boss and the Associate below the Soldier - as it should be! I know this is a subtle difference, but when you are looking at the line as a whole it really brings it full circle. As with the Soldier, this blend is using Dominican, Columbian, & Nicaraguan tobacco for the binder and filler while keeping the Brazilian Maduro for a wrapper. Lets see if this largest of three is really the "Boss" or just the fat guy. This is just another reason why I like the CAO company so much, each cigar was just about as identical to the next as you can get! Yet again, this stick seems to have almost twice as much tobacco as any other cigar of its size, although the packing of the cigar does cross that 'overfilled' category. Free of soft spots ( more common in cigars of this size ), band removal and lighting the cigar were spot on. The tapered head makes cutting the Boss a breeze even for the novice. The wrapper which has been quoted as ‘dark as a hit-man’s soul’ covers this cigar with little to no veins and had the same visible oils that the Associate and Soldier provided. Although similar in profile to the Soldier, the Boss started off with a heatlhy earth and natural tobacco base that slowly mixed with a slightly sweet, almost cocoa sensation that lasted for most of the first third. A slower transition than the Soldier and Associate, an enjoyable leather and coffee combination held for the majority of the cigar. While the leather and coffee combination may not sound the most appealing, it had this amazing bitter/sweet combination that really showed the balance CAO can offer - it kept me interested but never overwhelmed. Another great cigar produced by CAO, adorned by The Sopranos name yet carrying that 'this is what it is all about' - the Boss not only appears to be the 'big boy' of the series but makes you feel a little higher on the chain. 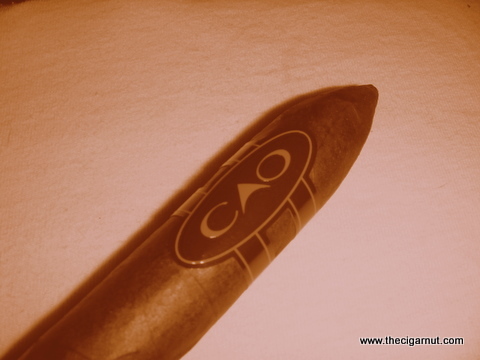 The flavors are rich and balanced and while this is not the most complex vitola from the series, this is one of those cigars I can see myself going back to time and time again. If you are looking for a large, dark cigar that has the 'tie' to the tv-show but also has a well placed foothold in the cigar world - I cannot recommend the CAO Sopranos Boss enough.